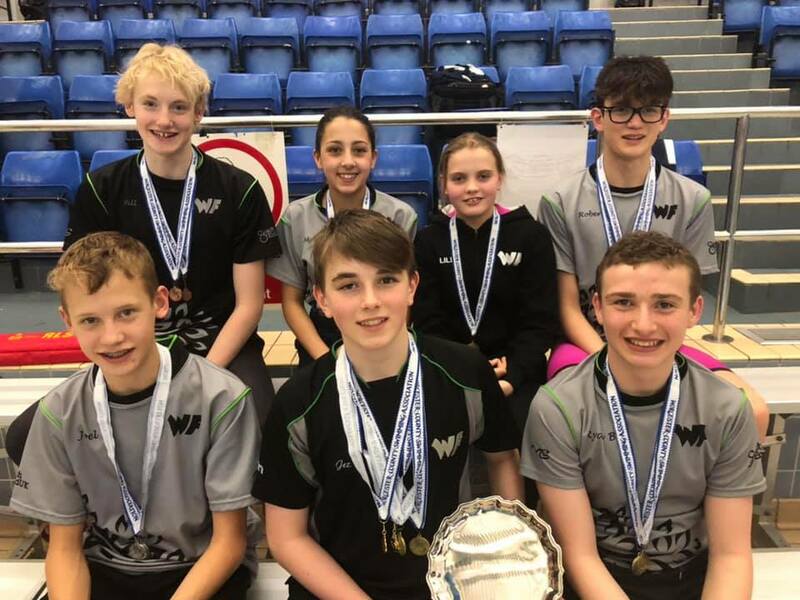 Fresh from receiving Wyre Forest’s Sports Award for Junior Team of the Year 2018, Wyre Forest swimmers were back in action at Wolverhampton pool this weekend at the Worcester County Distance Championships. WF had five boys entered into the 1500m freestyle event and all five came away with medals in their age groups – Ryan Bloomer (13) Gold, Joel Hands (14) Silver, Jeremy Summers (15) Gold, Rob Darbyshire (16) Gold and Will Guest (17&O) Bronze. 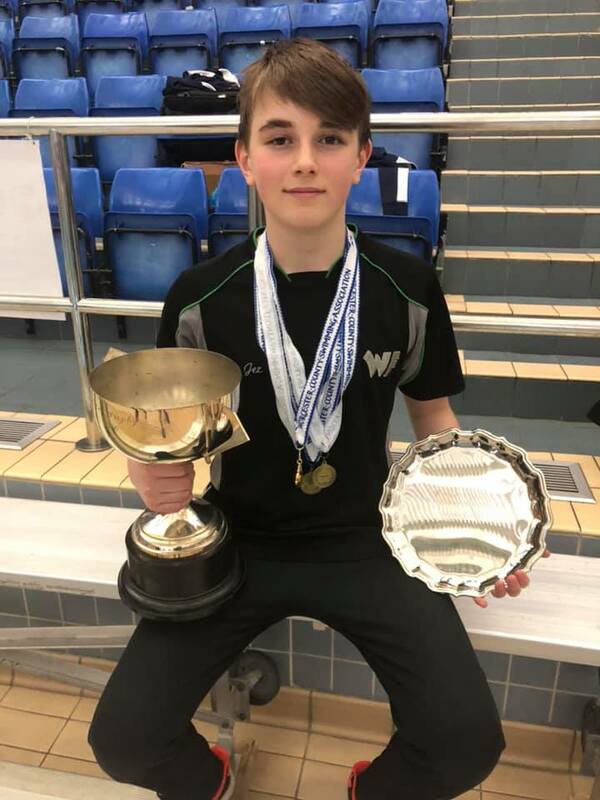 Will Guest’s swim meant he finished 3rd fastest overall in the county in the Seniors and Jeremy Summers’ swim was the fastest overall in the Juniors, making him Junior County Champion. The second session of the Distance Championships featured the 800m freestyle which saw WF win another 7 medals. Lillie Grover (12) won Gold and Mollie Kilgour (14) won Silver in their age groups, whilst Emily Watkiss & Isabella Hoare both swam personal best times. All five boys who had previously won medals in the 1500 came away with medals in the 800m – Ryan Bloomer (13) Silver, Joel Hands (14) Silver, Jeremy Summers (15) Gold, Rob Darbyshire (16) Gold and Will Guest (17&O) Bronze. Rob Darbyshire’s swim meant he finished 3rd fastest overall in the county in the Seniors and Jeremy Summers’ swim was again the fastest overall in the Juniors, making him Junior County Champion in both the 800m and the 1500m events.